Welcome to Music Friday when we bring you uplifting tunes with jewelry, gemstones or precious metals in the title or lyrics. 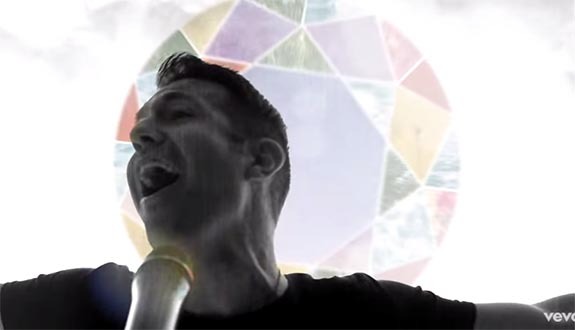 Today, Canadian Christian rock band Hawk Nelson performs “Diamonds,” a spiritual song about how the pressure of dealing with life’s many challenges often makes us stronger in the end. Steingard explained to PraiseFestBC.com that “Diamonds” explores the real relationship between real-world people and a real-world God. 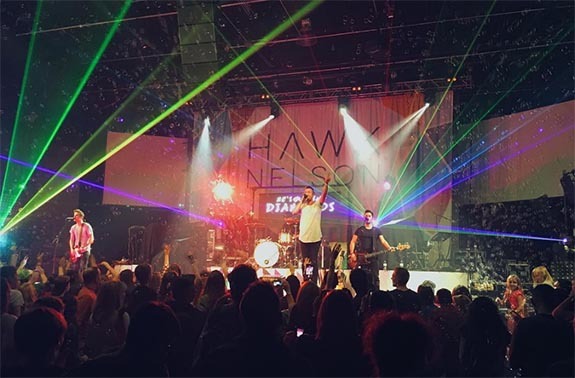 “Diamonds” is the title track from Hawk Nelson’s seventh studio album. Released in March of 2015, the album Diamonds reached #12 on the Billboard U.S. Christian Albums chart. Originating in Peterborough, Ontario, Hawk Nelson entered the Christian music scene in the early 2000s and was voted “Favorite New Artist” by CCM Magazine‘s readers in February of 2006. Current band members include Steingard (guitar, lead vocals), Daniel Biro (bass guitar, backing vocals), Micah Kuiper (guitar) and David Niacaris (drums). Please check out Hawk Nelson’s inspiring and high-energy performance of “Diamonds.” The lyrics are below if you’d like to sing along.